2013 is a decade that is filled with all kinds of smartphones, tablets or anything that’s wearable would have some kind of an operating system running inside it for our daily needs. As computers go even more mobile, efficient and efficient in terms of energy, people tend to do things on the go. We rely on our smart OS powered devices 24/7 for everything we need or do and at sometime comes a moment when we’re running low on juice that we hunt down the nearest plug socket to get back those energy levels up. 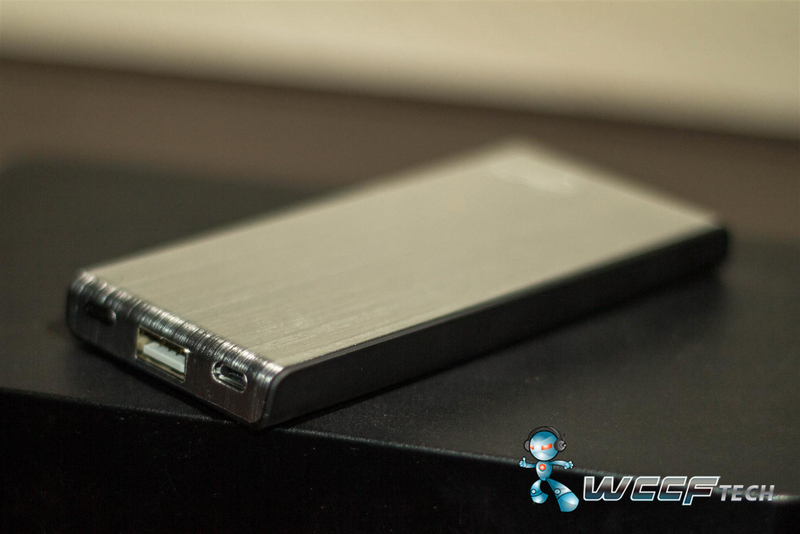 Arctic seems to ease up on this ongoing hunt with their Power Bank 4000-S. Read on for more. 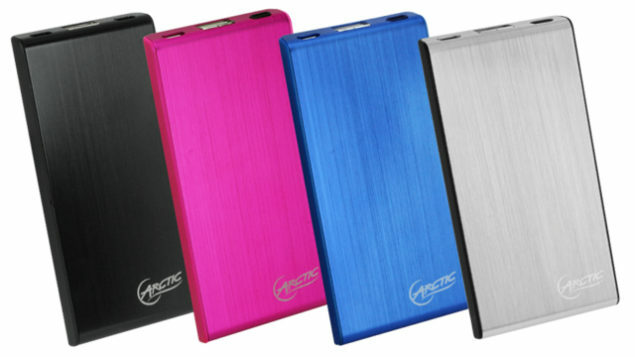 The Arctic Power Bank 4000-S is something that fits in your pocket with ease and in terms of height and width is almost same as an iPhone 5. Available in either Silver, black, pink or blue, the top is composed of a metal body with the underneath plastic of a velvet matte type finish. 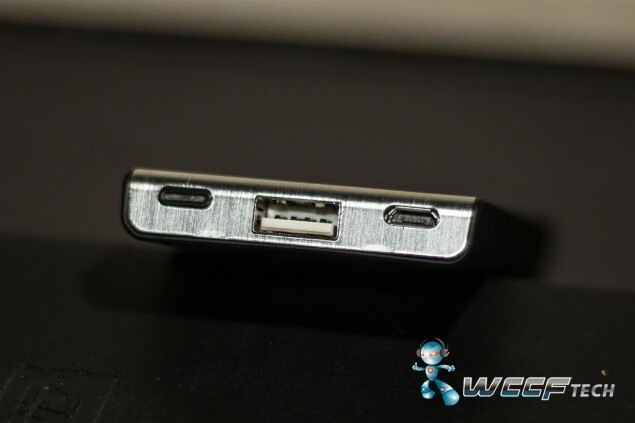 The Power Bank on the front has on its left a charge LED indicator, in the center a USB port for plugging in your respective device’s cable for charging and on the right a micro USB port for charging the Power Bank itself. This portable charger is able to hold 4000 mAh at full capacity and comes with a mini and micro USB cable (surprisingly no 30 pin dock connector cable for Apple’s iDevices) but nevertheless the charger seems to be targeted at an audience of Android smartphone users at most and last but not least a very handy pouch to carry the 4000-S. The 4000-S in terms of charging takes a total of 6 hours to completely charge up to 100% and is able to hold onto that charge for near enough 3 years; which might sound a lot but quite useful as an emergency charger for your wilderness trip in case you end up getting lost in the woods and need that miracle juice to save the day. You can check the charger’s power level by pressing the LED lit button that flashes Green when fully charged, red-green combo when 75% and red when its around 20%. For the test 3 days straight, I drained my iPhone 4S for this test to zero percent and let the Power Bank bring it back up to a 100%. During these three days, the best thing I found was the 4000-S works exactly the same as a wall charger and even at times charged my phone earlier than the original Apple charger would! So if I had to fully charge my iPhone, it took around 2 and a half hours and with roughly around 30% juice left! I did also put the phone on charging while gaming and though the Power Bank gave out after just 2 hours, it did bring my juice back to 80% from the original 5% with all that heavy usage thanks to its 5V 2 ampere output. Coming onto the conclusion on whether you should get this for $40 whether you go lost on your wild hunting trip or not, it seems as a definite need for today’s technology inspired lifestyles where your device keeps you ahead of the competition and a running low on juice isn’t a viable option. You can buy the Arctic Power Bank 4000-S for 25.99 pounds from Amazon UK.